This year the Minnesota State Fair will be held August 27 – September 7, 2015 in St. Paul. My “must do” list has both things to eat and things to see. I have three food items on my “must do” food list. The first is the Big Fat Bacon. 1/3 pound grilled with maple syrup. Do I have to say more? Once you have one, you will be back for more. Guaranteed. Another personal food favorite are the malts from the dairy building. My personal favorite flavor is, of course, chocolate. And, lastly and oddest, my “must do” food item is a footlong hotdog with grilled onions. I know, I know – footlong hotdogs are not odd. Especially at fairs. But I have one for breakfast! It’s a tradition. Besides my favorite traditional State Fair food items, I have favorite exhibits on my “must do” list. I usually start with the Farm Bureau building, then make my way to the CHS Miracle of Birth building, the Dairy building (think malts!) and then end up at the livestock buildings with the Oink Booth being my favorite. 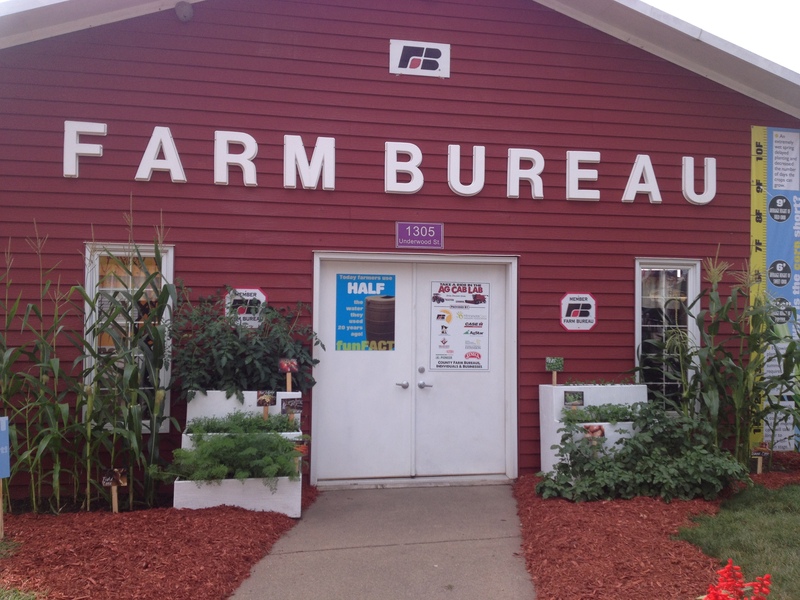 Speaking of traditions and a “must do” – the Farm Bureau building is one of my yearly traditions. And if this isn’t your tradition, I challenge you to add it. 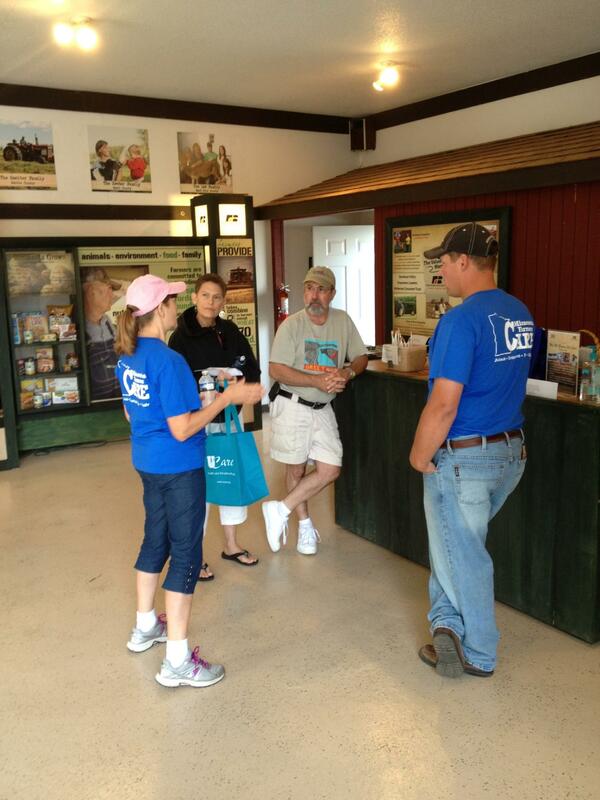 One of the great aspects about the Farm Bureau building is the opportunity to talk to a farmer firsthand. 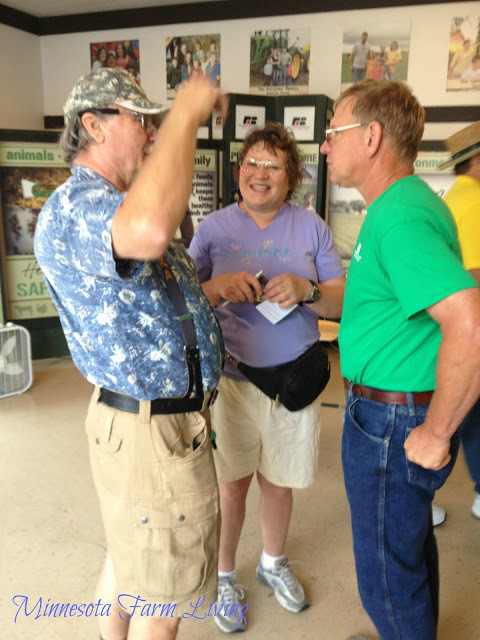 Farmers from across Minnesota will be available during the fair for you to meet. 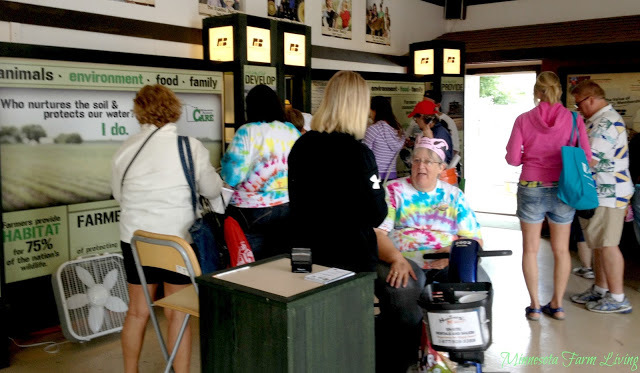 They LOVE, LOVE sharing information about their farm! And it’s a great opportunity for you to ask them questions about what they do. In addition to farmers, there is an interactive garden display that features their Pico de Gallo recipe. 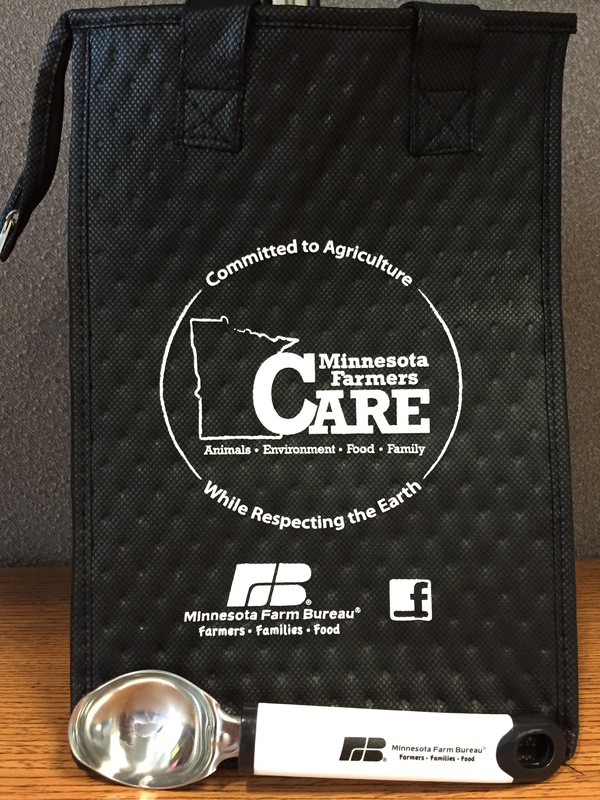 Minnesota Farm Bureau will also be giving away thermo-lunch bags or ice cream scoop, all by answering a short quiz. The quiz is simple as the answers are located within the exhibits in the building. How great is that? And the kids haven’t been left out. Children’s books will be given away every day and if that isn’t enough, at the end of the state fair, a rain barrel will be given away. So make sure you stop in to register for both. Another place to check out is the CHS Miracle of Birth Center. It is probably the most popular place on the fairgrounds. 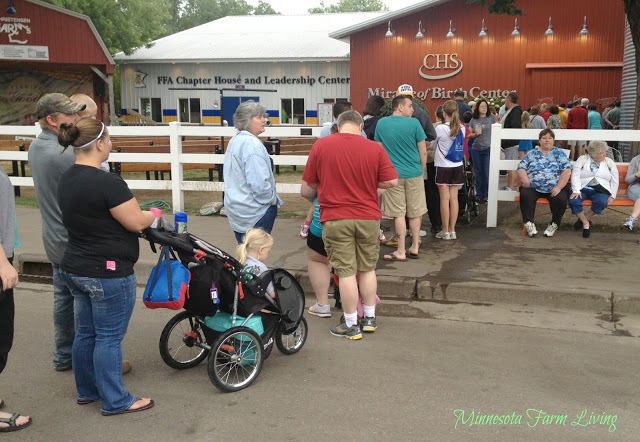 It is a one-of-a-kind agricultural education exhibit and the birthplace of nearly 200 calves, lambs, goats and piglets during the Minnesota State Fair. When you are finished looking at the baby farm animals, make your way to the livestock buildings. My favorite livestock building is the swine building, and more specifically, the oink booth. 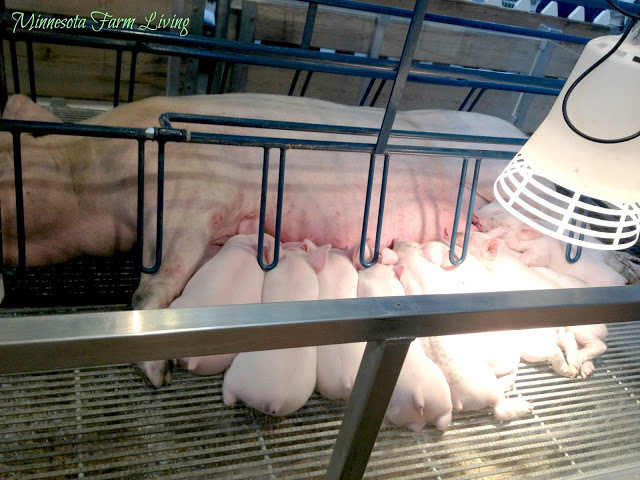 Here you will get an up-close view of a mother sow with her piglets. And not only that, you can talk directly to pig farmers as they will be available to answer your questions about pigs and pig farming. I have had the personal privilege of volunteering at the Minnesota Farm Bureau building, as well as, the Oink Booth. I love talking about our farm and what we do. And I really love answering questions people have about agriculture!